A view of the new administrative building of EGRLThe Equatorial Geophysical Research Laboratory (EGRL), the regional centre of IIG, started its activities in 1991, when an experiment for measuring short-period geomagnetic field fluctuations was carried out for a short time in one of the rented houses at Krishnapuram, a village located 11 km from Tirunelvelli, on the Tirunelvelli-Tiruchendur Highway. 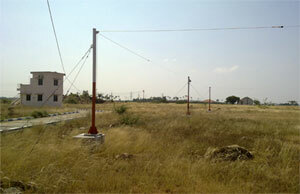 Situated close to the magnetic equator (the dip angle being 1.75oN) (8.7oN, 77.8oE geographic) over an area of more than 35 acres near the village, Krishnapuram, the Centre was intended to house multi-disciplinary experiments for the measurements of electric and magnetic fields originating in the near-Earth environment. A modern Library with a wide section of books (currently around 500 in number) on geomagnetism, atmospheric sciences and ionospheric and magnetospheric physics among others, supplemented by around 25 reputed scientific journals in the disciplines of interest, is part of the Centre that also houses a well-equipped electronics laboratory for fabrication and maintenance of instruments required for the experimental programmes. A Memorandum of Understanding has been signed with the Manonmaniam Sundaranar University (MSU), Tirunelvelli, which facilitates interaction between the scientists of the Centre and the lecturers and students of the University and its affiliated colleges on several of the multi-disciplinary areas of mutual interest. The MSU recognizes the Institute as a centre for research in Physics leading to Ph.D. degree. One of the main functions of EGRL is to obtain continuous records of geomagnetic data – variations in three components of the Earth’s total geomagnetic field (the horizontal (H) and vertical (Z) components and the Declination (D)) recorded with sensitive magnetic instruments called variometers. These are supplemented by regular observations of absolute field components carried out with the Declination Inclination Magnetometer (DIM) and the Proton Precession Magnetometer (PPM). 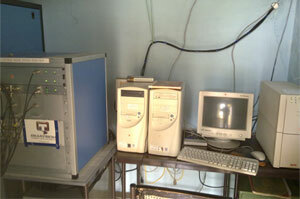 After processing, the data are are sent periodically to the Headquarters at Navi Mumbai. 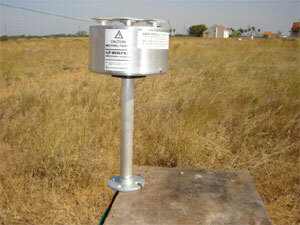 A separate digital fluxgate magnetometer is operational at EGRL that yields high resolution data in digital form. With the standard magnetic observatory and a medium frequency radar providing data on upper mesospheric dynamical parameters, the Centre supports one of a very few locations in the world ideally suited to the study of equatorial electrojet, an enhanced east-west current system in the ionosphere flowing at ~110 km in a narrow latitudinal belt of +3o centered around the magnetic equator. The middle atmosphere (15-100 km) is sandwiched between the lower atmosphere, the seat of weather, climate and rainfall, and the ionized upper atmosphere where the influences of solar radiation and solar wind are directly felt. This region sustains perturbations in pressure, density and temperature and allows wave propagation. The tropical atmosphere is influenced by solar radiation, which drives both large-scale circulation and cumulus convection. The Coriolis force is smaller in the tropical region and this allows certain long-period wave modes. Since the gas density exponentially decreases with height, the atmospheric waves grow in amplitude upwards and become significant contributors to the momentum and energy budgets of the upper middle atmosphere (80-100 km). In the latter region, the temperature reaches its lowest value (as low as 120K in summer polar regions) anywhere found on the Earth. Radiative, chemical and dynamical processes play different roles in governing the behaviour of this region. A complete understanding of these processes is still lacking. Planetary-scale waves and tides are believed to play an important role in determining the variabilities of this region but their propagation characteristics in the tropical region and their relation to known source mechanisms of lower and middle atmospheric origin were not explored in detail due to paucity of continuous observations in the past. 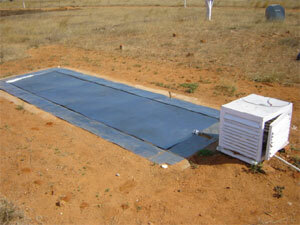 At EGRL, a high power medium frequency (MF) radar system was installed in 1992 under an Indo-Australian collaborative project, the main purpose being to obtain continuous measurements of neutral winds in the altitude region 70-100 km. 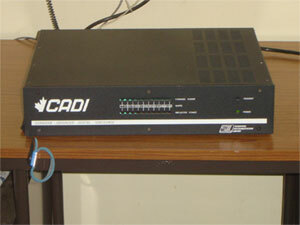 A similar radar system was deployed later at Kolhapur, another field station of IIG. In the tropical belt, only a few radars of this kind are operational worldwide. The measured wind fields over Tirunelvelli exhibit variabilities in several time scales (a few years to a few hours). The role of large-scale circulation and wave processes in causing the observed wind variability has been a primary focus of study at EGRL. Several wave events lasting for a few days to few tens of days have been observed revealing the influence of lower atmospheric wave excitation processes on regions up to 100 km. The all-sky airglow imager deployed at Tirunelvelli. The Centre has been participating in global experimental campaigns under the umbrella of PSMOS and CAWSES, the international programmes of SCOSTEP, with the MF radar at Tirunelvelli forming a part of the MLT radar network worldwide. The institute scientists at EGRL also participated in a novel coordinated experimental campaign under the CAWSES-India programme wherein for the first time a variety of observational tools were used to delineate middle atmospheric tides. More studies of this kind are expected to provide useful insights of what spectrum of waves and tides propagate upwards and drive the upper atmospheric weather. A new all-sky airglow imager was deployed at EGRL during early 2007 and is primarily utilized to monitor dominant small-scale wave motions at the airglow emitting altitudes in the mesopause region. A multi-wavelength photometer tuned to monitor selected lines of the OH vibration-rotation band provides complementary rotational temperature measurements at ~87 km. Such measurements, aided by high resolution spectroscopy, provide clues to understanding the intrinsic chemical processes and dynamic perturbations in the airglow intensities. 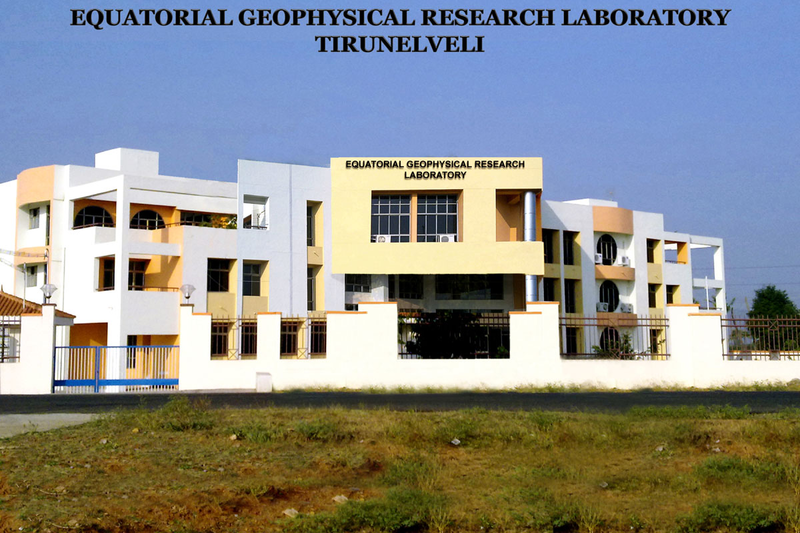 On the initiation of the optical aeronomy laboratory at EGRL, the Centre has become of the very few in the world where the combined efforts due to radio and optical remote sensing are fully utilized in probing the upper middle atmosphere. The equatorial ionosphere holds a unique geomagnetic field configuration that is different from other latitudes. At the magnetic equator, a freely suspended magnet will lie in a horizontal plane in the north-south direction, indicating that the Earth's magnetic field itself is horizontal there. The geomagnetic field configuration at the magnetic equator allows an enhanced electrical conductivity that leads to an enhanced electrical current system circulating at about 110 km which is traditionally called the equatorial electrojet (EEJ). The study of EEJ is complicated by its observed variability, the extreme manifestation being the reversal of current system in the afternoon hours on certain days. This variability is caused by the variable nature of the wind field itself which is responsible for the primary electrostatic field driven by the dynamo action. The difficulties in understanding the causes for this variability are because of the lack of information on the winds in the dynamo region (90-120 km). 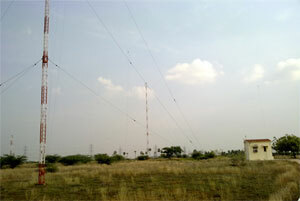 The MF radars at Tirunelvelli and Kolhapur provide useful information on wind fields close to the dynamo region. With continuous data being obtained from these two radars, several problems pertaining to the existence and maintenance of the EEJ and its association with the global Sq current system, are being addressed. It has been proposed to develop appropriate theoretical models in-house to explain the fundamental processes responsible for the variability of EEJ. A digital ionosonde was deployed at EGRL, Tirunelvelli during mid-2006 and has been providing useful data on several E and F region ionospheric parameters since then. Over most of the Earth and in the atmosphere, it has been found on average there is a vertical current density which ranges between 1 and 3 picoamperes per square meter. The source of this current density has been the subject of debate for centuries. In 1920 C.T.R.Wilson suggested that thunderstorms act as electrical generators that drive currents upward and thereby charge the upper atmosphere positively with respect to the Earth's surface. Driven by a potential difference of about 200,000 volts, the charge in the upper atmosphere leaks back to ground through the intervening atmosphere. Based on this simple model, it is expected that the global circuit current density peaks in the UT (universal time) afternoon with a minimum in the early morning, in accordance with the postulate that the thunderstorm peak occurrence probability, when integrated over the globe, is in the late afternoon UT hours. To date, this simplified model on the giant electric circuit operating on the global scale has never been adequately tested. Complexities are introduced when the effects produced by the solar flares on the polar cap ionosphere and the currents within the ionosphere and magnetosphere are considered. The ionosphere and the magnetosphere are no more treated as 'passive' and their contributions are being incorporated in the development of models on the global electric circuit (GEC). Since 1995 the vertical air-Earth current density has been continuously measured at EGRL using long-antenna wires with appropriate low-noise differential amplifier-filter circuitry. In recent years, plate and ball antenna systems measuring complementary air-Earth current data, a passive antenna system yielding vertical potential gradient measurements and an electric field meter have been inducted in the atmospheric electricity laboratory functioning at EGRL. Identification of the global component in the measured air-Earth current is severely obscured by effects produced by local processes. 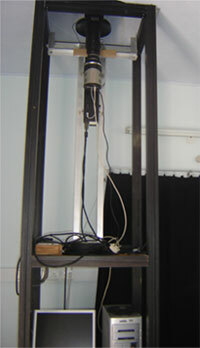 With the complete automatic weather station supported by surface pressure observations carried out with the help of an array of microbarographs, a comprehensive study of the influence of local processes (turbulence associated with local convection and any other atmospheric perturbations that influence the electrical parameters) on the measured air-Earth current density is being pursued by the institute scientists at EGRL. The present study, aimed at exploring interconnections and coupling of various regions of the atmosphere in terms of the electrical parameters associated with the GEC, will be strengthened by balloon launchings from Hyderabad for the measurements of atmospheric conductivity and electric field, and simultaneous air-Earth current measurements from Antarctica. With expertise available on making circuit design for the measurements of electric and magnetic fields, a new experiment has been attempted at EGRL, perhaps for the first time in our country. It has been known for quite some that the lightning-induced electromagnetic impulses propagate within the space separating the Earth and the ionosphere. The phase addition and cancellation of waves that has traversed the globe many times along multiple paths produce resonant lines called the Schumann resonances observable in the frequency range 7-50 Hz. The difficulties in detecting the ELF signals arise because of their very small signal strengths and the obscuring nature of man-made electromagnetic noise in this frequency range. On successful commissioning of the experiment designed for measuring the Schumann resonance intensities, it is possible to examine the role of thunderstorm activity in the generation of the global electric circuit. Further, it has been shown in the recent past that the ELF signals associated with lightning and severe weather can be used to infer global tropospheric temperatures. With long-term data on Schumann resonance intensities, it is hoped that a continuous record of global temperatures will be made available for examining the global warming that is threatening the world today.